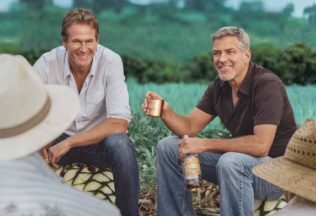 British beverage giant, Diageo, has acquired George Clooney’s tequila range, Casamigos. Casamigos was first launched in 2013 and was created by the famous actor and former model, Randy Gerber. Diageo paid US $1 billion for Casamigos. In announcing the acquisition, Diageo said since Casamigos launch, the tequila brand has seen strong growth in its core US market. “For us, the acquisition of Casamigos adds another exceptional tequila brand to sit alongside Tequila Don Julio and supports our strategy to focus on the high growth super-premium tequila category,” Diageo said. “This is an exciting category and, together with Casamigos, we look forward to building the brand in the US and beyond. You could say it’s the start of a beautiful friendship.” Diageo stated. Clooney and Gerber are expected to still be involved with the brand as ambassadors. Bulla is now selling frozen custard in the freezer aisle of Australian supermarkets.